Passage - Select Finish 003 - Lifetime Brass $ 114.00 030 - Lacquered Brass $ 96.00 031 - Un-Lacquered Brass $ 96.00 055 - Lifetime Pol Nickel $ 114.00 102 - Oil Rubbed Bronze $ 96.00 112 - Venetian Bronze $ 96.00 150 - Satin Nickel $ 96.00 260 - Polished Chrome $ 96.00 Qty. Privacy - Select finish 003 - Lifetime Brass $ 114.00 030 - Lacquered Brass $ 96.00 031 - Un-Lacquered Brass $ 96.00 055 - Lifetime Pol Nickel $ 114.00 102 - Oil Rubbed Bronze $ 96.00 112 - Venetian Bronze $ 96.00 150 - Satin Nickel $ 96.00 260 - Polished Chrome $ 96.00 Qty. Full Dummy - Select Finish 003 - Lifetime Brass $ 100.00 030 - Lacquered Brass $ 80.00 031 - Un-Lacquered Brass $ 80.00 055 - Lifetime Pol Nickel $ 100.00 102 - Oil Rubbed Bronze $ 80.00 112 - Venetian Bronze $ 80.00 150 - Satin Nickel $ 80.00 260 - Polished Chrome $ 80.00 Qty. Single Dummy - Select Finish 003 - Lifetime Brass $ 50.00 030 - Lacquered Brass $ 40.00 031- Un-Lacquered Brass $ 40.00 055 - Lifetime Pol Nickel $ 50.00 102 - Oil Rubbed Bronze $ 40.00 112 - Venetian Bronze $ 40.00 150 - Satin Nickel $ 40.00 260 - Polished Chrome $ 40.00 Qty. Passage - Select Finish 030 – Polished Brass 003 - Lifetime Brass 031 – UnLacquered Brass 033 – Vintage Brass w/o/L 034 – Vintage Brass w/L 040 Satin Brass 050 - Antique Brass 102 - Oil Rubbed Bronze 112 - Venetian Bronze 150 - Satin Nickel 151 - Antique Nickel 055 – Polished Life Nickl 056 - Lifetime Satin Nckl 190 – Satin Black 260 – Polished Chrome 264 – Brushed Chrome 402 - Distressed Bronze 412 - Dist Ven Bronze 452 – Distressed Pewter Qty. 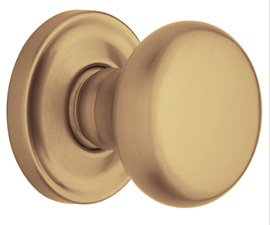 Privacy - Select Finish 030 – Polished Brass 003 - Lifetime Brass 031 – UnLacquered Brass 033 – Vintage Brass w/o/L 034 – Vintage Brass w/L 040 Satin Brass 050 - Antique Brass 102 - Oil Rubbed Bronze 112 - Venetian Bronze 150 - Satin Nickel 151 - Antique Nickel 055 – Polished Life Nickl 056 - Lifetime Satin Nckl 190 – Satin Black 260 – Polished Chrome 264 – Brushed Chrome 402 - Distressed Bronze 412 - Dist Ven Bronze 452 – Distressed Pewter Qty. Full Dummy - Select Finish 030 – Polished Brass 003 - Lifetime Brass 031 – UnLacquered Brass 033 – Vintage Brass w/o/L 034 – Vintage Brass w/L 040 Satin Brass 050 - Antique Brass 102 - Oil Rubbed Bronze 112 - Venetian Bronze 150 - Satin Nickel 151 - Antique Nickel 055 – Polished Life Nickl 056 - Lifetime Satin Nckl 190 – Satin Black 260 – Polished Chrome 264 – Brushed Chrome 402 - Distressed Bronze 412 - Dist Ven Bronze 452 – Distressed Pewter Qty. Single Dummy - Select Finish 030 – Polished Brass 003 - Lifetime Brass 031 – UnLacquered Brass 033 – Vintage Brass w/o/L 034 – Vintage Brass w/L 040 Satin Brass 050 - Antique Brass 102 - Oil Rubbed Bronze 112 - Venetian Bronze 150 - Satin Nickel 151 - Antique Nickel 055 – Polished Life Nickl 056 - Lifetime Satin Nckl 190 – Satin Black 260 – Polished Chrome 264 – Brushed Chrome 402 - Distressed Bronze 412 - Dist Ven Bronze 452 – Distressed Pewter Qty. Passage - Select Finish 003– Polished Brass 049 – Brass/Black/Matte 112 - Venetian Bronze 150 - Satin Nickel 152 - Antique Nickel/ Matte 260 – Polished Chrome Qty. Privacy - Select Finish 003– Polished Brass 049 – Brass/Black/Matte 112 - Venetian Bronze 150 - Satin Nickel 152 - Antique Nickel/ Matte 260 – Polished Chrome Qty. Full Dummy - Select Finish 003– Polished Brass 049 – Brass/Black/Matte 112 - Venetian Bronze 150 - Satin Nickel 152 - Antique Nickel/ Matte 260 – Polished Chrome Qty. Single Dummy - Select Finish 003– Polished Brass 049 – Brass/Black/Matte 112 - Venetian Bronze 150 - Satin Nickel 152 - Antique Nickel/ Matte 260 – Polished Chrome Qty. 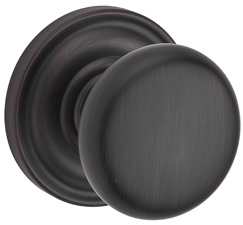 BaldwinHardware 5405 Classic Knobs are in stock, though inventory is limited.